The spooky season is upon us, friends. Dances, costume contests, corn mazes, haunted houses, and of course, The Rocky Horror Picture Show. We have curated a large number of fabulous outings for this Halloween season just for you, and there is a little something here for everyone. All events are in order by date, or by start date if it is a recurring event, and each includes a rating so you can plan appropriately based on level of scariness. Sever’s annual Fall Festival returns with a wide array of events to delight the family. There is a pumpkin patch, live shows, food and beverages, the corn maze, an obstacle course, a petting zoo, pig races, and so much more! Kids three and under are free; otherwise tickets are $15 general admission or $12 for members of the military and their families, seniors (65+), or large groups. You can also get a season pass for $35 per person. 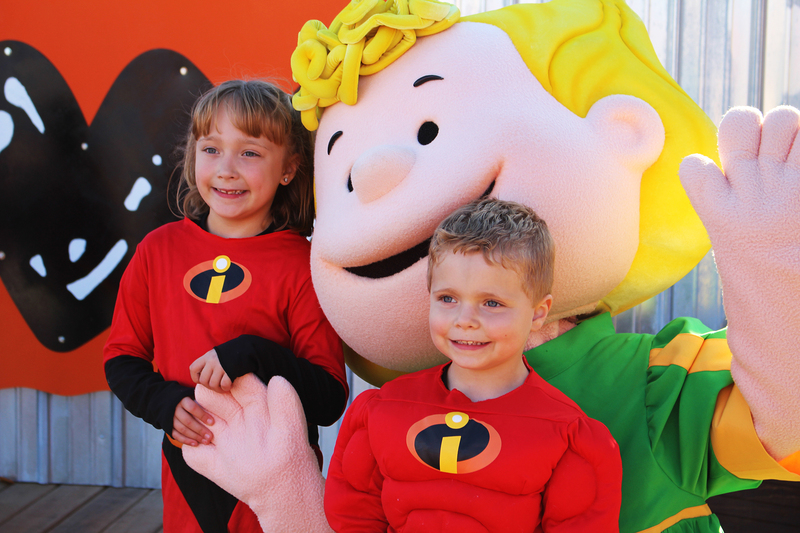 When: Saturdays and Sundays, September 22nd–October 28th, 11:00 a.m.–6:00 p.m.
Daytime at Valleyfair is for the little ones, providing lots of not-so-scary Halloween activities with the Peanuts gang. Enjoy rides, live entertainment, a pirate party, Trick or Treat Street, hay-bale mazes, crafting, a foam machine, singalongs, pedal-tractor derby, and a parade. Tickets start at $32, and this is an all-ages, family-friendly event. At night, the darkness comes out at Valleyfair. Enjoy the rides while you run from monsters and zombies, check out specialty food centers, events, mazes, scare zones, and live shows. This is not an event for the little ones—children under 13 are not advised to attend—and tickets start at $32. 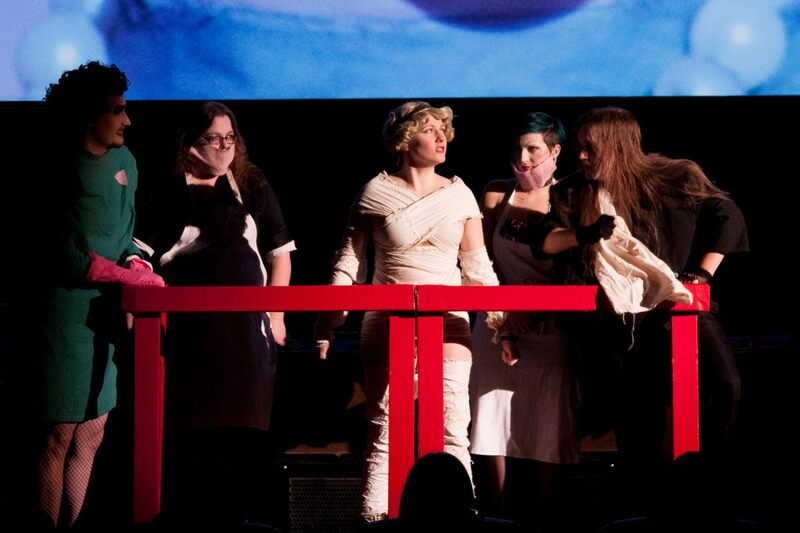 The Twin Cities Horror Festival is an annual event that offers a number of different shows, experiences, and offerings to get into the spirit of the season, including performance art, live podcasts, film festivals, theater, and lectures. Plays like The Legend of Sleepy Hollow are great for all ages, while most others are suggested for ages 16 and up. There are also comedic lectures and an amazing show called Second Skin, where you are the solo performer listening to a spooky adventure as you walk around the West Bank area, which is incredibly immersive. There is a little something for everyone during the festival. Ticket prices vary per show, but you can get a Four Horseman (four-show) pack for $55 or the Skeleton Key, which gives you unlimited access to shows and given priority access for $180. This family-friendly event sports an enchanted forest set in the heart of the Minnesota Zoo and provides a strolling exhibit. It features over 5,000 illuminated pumpkins, musical vignettes, and fog to set a beautiful scene. Tickets prices are staggered: Friday and Saturdays are $18 for adults, $15 for seniors (65+) and children 3–12; Sunday through Thursday is $15 for adults, $12 for seniors (65+) and children 3–12. Children two and younger are free. Zoo members get the weekday pricing on weekends. Open rain or shine. This unique haunted house, which describes itself as an “interactive experience focused on absurdist psychological horror,” has been frightening the Twin Cities for over 10 years. The experience is 18+ and not for the faint of heart except for the select ’Fraidy Cat Tours, which are all ages (but parental guidance is suggested). When: Friday, October 5th at 7:00 p.m. When: Friday, October 5th at 10:00 p.m.
Cosplayers and Costumers Social Hour is a chance for cosplayers and costumers to meet up, talk shop, show off new stuff, and have a great time. There will be two-for-one drink specials until 11:30 and fun ’80s and ’90s dance music. Ground Zero is a cash-only and 21+ bar and cover is $8 unless you show that you have RSVPed to the event to get free cover. When: Saturday, October 6th from 10:30 a.m. to 5:00 p.m. This bar crawl will be amok amok amok! Starting at the Pourhouse, pick a Sanderson Sister or Thackery Binx team to join up with, dress up like your favorite character, watch Hocus Pocus–inspired drag, show off your mad trivia knowledge, dance on the rooftop, and sing along to Halloween classics. There will be surprises and entertainment as you walk the walk of the Sandersons from bar to bar. Tickets are $20 for the event if you also want a cool event shirt. Make sure you have your ID and your favorite rideshare app handy—even the Sanderson Sisters needed to ride the bus sometimes. 10% of all drink sales will benefit OutFront Minnesota. And remember: just because he looks like your lord and master Satan doesn’t mean he is. And tip your bartenders. When: Saturday, October 6th from 4:00 p.m. to 1:00 a.m.
Northeast Minneapolis: the final frontier. These are the voyages of the Star Trek Bar Crawl. Its mission—to explore strange new bars. To seek out new drinks and new appetizers. To boldly go where probably lots of others have gone before, but not maybe dressed as a Vulcan. This year the Star Trek Bar Crawl celebrates its seventh year of cosplay and drinking by starting off at the 1029 and ending at the 331 for a concert with local cover band Fistful of Datas. Make sure you have your pips shined, your isolinear ID handy, some primitive human currency, and contact with a sober shuttlecraft to take you from station to station. Don’t make Guinan angry; tip your bartender. When: Saturday, October 6th at 6:00 p.m. The United Artist Collaborative and the Otherworldly Arts Collective present the Gods and Monsters Art Show, featuring over 100 artists showing off art featuring chills, horrors, monsters, mythology, and terrors. The event is also offering drinks from Twin Spirits and Fulton Brewing, food from Butcher Salt food truck, Tarot readings, a booth of misfortune, and DJing from Gothess. Admission is a suggested $2 donation. This is an all-ages event, but because there will be alcohol and the artwork may be suggestive or subjectively scary, please exercise discretion when deciding whether this event is okay for your kids. When: Sunday, October 7th at 6:30 p.m. The October installment of the Science Museum’s adults-only Social Science series is designed for fans of cosplay, comics, and all things nerdy. You’ll have a chance to swing Thor’s hammer, save the galaxy with your DIY lightsaber, and more; Twin Cities Geek will also be there, running trivia (win a $50 gift card to HalloweenCostumes.com!) and providing props for your photo-taking convenience. Costumes are encouraged, and it’s a great opportunity to test-drive that new Halloween superhero get-up or get an idea for the upcoming events. Admission is $18.95 for nonmembers and $14.95 for Science Museum and MPR members, and you must have ID. To win free tickets, watch for our online giveaway or enter our drawing at MCBA Fall ComiCon! When: October 11th–13th, 18th–20th, and 25th–27th at 7:00 p.m.
Anoka is known for its devotion to Halloween, and this haunted house is no exception. It is suitable for all ages and provides a great place for both kids and adults to get their scare on. The event is cash or check only and all ages; adults are $12 and children 10 and under are $8. Use your best judgement with smaller kids who might scare more easily. When: Thursday, October 11th–Saturday, October 13th at 7:30 p.m.; Sunday, October 14th at 1:30 p.m.; and Saturday, October 20th at 1:30 and 7:30 p.m.
Join Wicked Wenches Cabaret as they offer up a vaudeville-style parody of Hocus Pocus. The event features burlesque, pole dancing, aerial arts, singing, and fire. Costumes are encouraged; there will be a photo booth available, and the audience will be transformed into background trick-or-treaters for the story. Tickets are $15 to $30 in advance or $20 to $35 at the door; admission is 18+, though you must be 21+ with valid ID to purchase alcohol from the venue. When: Friday, October 12th–Sunday, October 14th; Friday, October 19th–Sunday, October 21st; and Thursday, October 25th–Saturday, October 27th, all at 7:30 p.m.
TheatreX presents The Haunting of Hill House by F. Andrew Leslie, based on the novel by Shirley Jackson, and directed by Joe Hendren. Using the James J. Hill House to set the stage for this classic haunt and a featuring fantastic cast, it’s sure to pull you into the story. Note: This show is sold out, but you might be able to pick up last-minute tickets on the Facebook event page from those who are unable to go or by getting on the waiting list. Tickets are $35 for general admission and $29 for students, seniors (65+), and Minnesota Historical Society members. This production is recommended by TheatreX for ages 13 and up. When: Saturday, October 13th from 10:00am to 5:00 p.m.
Flip Phone presents another drag brunch, this time dedicated to the glory that is Michael Jackson’s “Thriller.” Featuring Vincent the Destroyer, Damien D’Luxe, and Julia Starr, this will be one that takes you back to that iconic red leather jacket, an unforgettable dance number, and endless popcorn gifs. Costumes are encouraged. Tickets are $11 and are open to all ages, but there may be swearing and non–child friendly things, so make sure to use your best discretion about bringing the kids. When: Saturday, October 13th from 7:30 p.m. – 10:30 p.m. 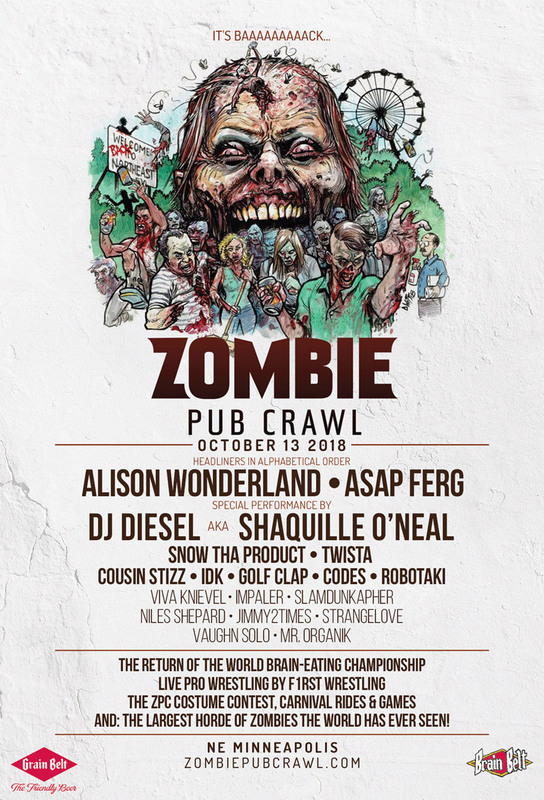 The event holding the Guinness World Record for “World’s Largest Gathering of Zombies” is back for its 14th year and taking over the brewery district in Northeast Minneapolis. With three outdoor stages, dozens of food trucks, great live music, live pro wrestling from F1RST Wrestling, a costume contest, carnival rides, and games, there is just so much for a zombie to decompose on! Costumes are highly encouraged—the gorier the better. This event is $28 for general admission or $80 for the VIZ (Very Important Zombie) package, which includes a private viewing area of the stages, private VIZ bathrooms, two free drinks, private access to the festival grounds, gifts, and snacks! Bring your ID and keep a sober hearse on standby just in case. When: Sunday, October 14th at 3:00 p.m. When: Thursday, October 18th at 9:30 p.m. When: Friday, October 19th at 6:00 p.m. The Anoka Halloween Committee invites you to its annual Orange Tie Ball, which has a Mad Hatter theme this year. Proceeds from this event, which offers dinner, dancing, and a silent auction, go to scholarships for Anoka-area students. If you reserve a table for eight, you will receive commemorative glasses and red and white wine for the table. Tickets are $50, and reservations are required. When: Friday, October 19th from 6:00 to 7:00 p.m. The Golden Valley location of Down in the Valley music shop is offering up a pretty amazing release party for the new orange vinyl pressing of the new Halloween soundtrack. The store will play the soundtrack and have some Halloween-themed fun with giveaways, goodies, contests, and more. This is an all-ages event and free to attend, but parents should use best judgement on whether music and imagery from the new Halloween movie will be too scary for their kids. When: Friday, October 19th at 7:00 p.m. The Saloon and the Minneapolis Mayhem Rugby Football Club are joining forces for this epic mashup party. Have fun smashing some costumes together—say, Jon Snow White or Doctor Stranger Things?—and dance through the night to some fun mashup songs. (Who can resist a well-done or truly insane mashup? I know I can’t!) There will be a costume contest judged on creativity, execution, and showmanship and drink specials that include two mashup-inspired concoctions. When: Friday, October 19th at 9:00 p.m.
Flip Phone brings out some amazing artists to perform acts devoted to the iconic film Rocky Horror Picture Show with Detox, Marti Gould, Terra Hyman, Tygra Trinity Slarii, Damien D’Luxe, Julia Starr, Sasha Cassadine, the Other Jeannie Retelle, and Puffy Wong. There will be a Rocky Horror costume contest, so dress up as your favorite character and shine! Admission is 18+, and tickets are $15 for general admission (in advance) and $45 for VIP, which includes admission, a meet-and-greet with Detox, balcony access, and a glass of bubbles (for those over 21, presumably). And if you can’t get enough Rocky, be sure to get out Transvestite Soup’s shadowcast performance at the Uptown Theatre on October 26 and 27 (see below). Fire Mama’s Halloweeny Bizarre Bazaar! When: Saturday, October 20th at 8:00 p.m. The Minneapolis Fire Collective is hosting an amazing night of fire, fashion, entertainment, and shopping. It is the group’s fourth bizarre bazaar, and they are planning an epic party this year with tons of fire artistry; costumes are encouraged. Tickets are $10 until September 30th, $14 until October 18th, and $20 at the door, so snap up your tickets now. When: Saturday, October 20th from 10:00 a.m. to 3:30 p.m. The month of epic drag brunches continues, with Flip Phone offering up a scary-movie-inspired show with your meal. Acts by Marti Cummings, Nocturna Lee Mission, Tygra, and Harrie Bradshaw. Tickets are $11 and are all ages, but there may be swearing and non–child friendly things, so make sure to use your best discretion about bringing the kids. When: Saturday, October 20th at 4:00 p.m.
Take a test run of your Halloween costume as you head through downtown Minneapolis’s bar scene. There will be a costume contest with prizes, wristbands for exclusive specials, and prizes at each participating bar if you check in with the Bar Crawl Nation app. Tickets are $14.99; plan ahead a sober ride home if you need it. When: Saturday, October 20th from 7:00 to 8:00 p.m.
Anoka’s Halloween dominance continues with its evening parade, a beautiful event that is great for the whole family with amazing lighted floats and parade participants. Please note that this event is very popular, and the city does not allow anyone to set up for the parade before 4:00 p.m., so it’s best to get there as early as possible after that time to secure a spot and consider using public transit if at all possible. This event is free and family friendly. There is also a bonfire after the parade at City Hall that includes food, music, and spooky fun. When: Saturday, October 20th at 7:00 p.m. The Oakeshott Institute—an organization located in a spooky and elegant 19th-century former church that promotes interest in ancient weaponry—is holding its third annual pre-Halloween masquerade ball and benefit. The event will offer up a costume ball, music and dancing, a cash bar, light appetizers, a raffle, and demonstrations of historic European arms and armor by scholars and enthusiasts. This event is 21+, and tickets are $20 at the door. 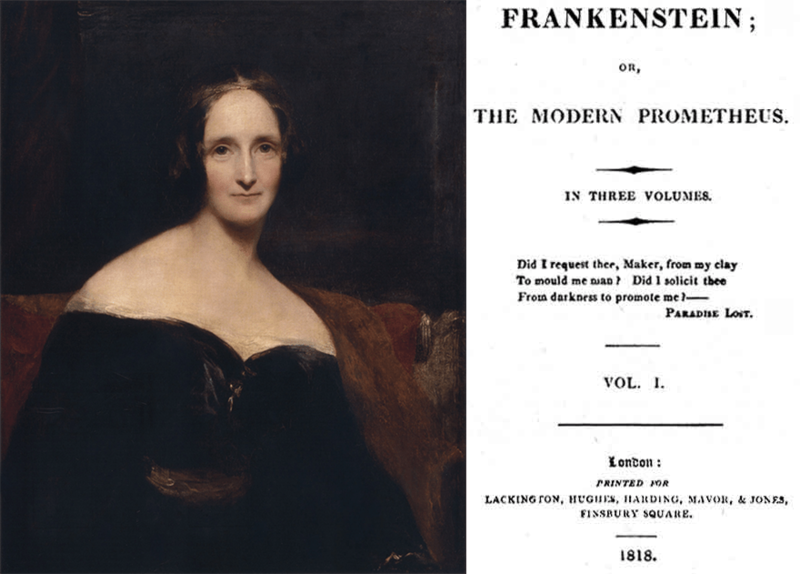 When: Tuesday, October 23rd from 7:00 p.m. to 8:00 p.m.
Richard Rothwell’s portrait of Mary Shelley and the title page for the 1818 edition of Frankenstein. When: Thursday, October 25th at 8:00 p.m.
Midwest Industrial puts together an amazing night of industrial music to get you ready for the big night. Acts include Wither the Tide, a high-energy synth-rock group; Depotek, contributing a pop-industrial sound; Zwaremachine, which offers up industrial music and visual artistry; and DJs Illuminati Steele and Endif to keep the dance floor moving all night. The event is 18+, and tickets are $8 in advance. When: Friday, October 26th from 6:00 p.m. to 8:30 p.m. This family-friendly outing at Armatage Park includes wagon rides, a warm and toasty bonfire, s’mores and popcorn, and a bouncy house. This is totally free and fit for all ages, with candy and other treats provided by the park and the Armatage Neighborhood Association. When: October 26, 2018 from 6:00 to 8:00 p.m. When: Friday, October 26th at 7:00 p.m. to Saturday, October 27th at 8:00 a.m.
Relive the days of lock-in camps at the Science Museum, where you will get to sleep surrounded by dinosaur bones and mummies! The museum is offering up dinner, breakfast, and a late-night snack plus a cash bar, a film in the Omnitheater, make-and-take workshops, live science demonstrations, and reduced-price overnight parking. Will you make it through the night without becoming one of the living dead? This is a 21+ event, and tickets must be purchased in advance for $110, or $85 for Science Museum members. When: Friday, October 26th and Saturday, October 27th at 7:00 p.m.; Sunday, October 28th at 2:00 p.m. When: Friday, October 26th at 9:00 p.m. Moon Palace hosts a number of cover bands of all sorts, with proceeds benefiting MPD150. Music like Dead Milkmen, Roky Erikson, Exploding Hearts, Spice Girls, Minor Threats, and more will be keeping you dancing for hours. Admission is 21+, and tickets are $5 to $10 at the door. When: Friday, October 26th at 10:00 p.m.
A Halloween celebration of all things Beyoncé will take over the Union Rooftop, hosted by VH1’s New York (Tiffany Pollard) and featuring performances by Tygra Trinity Slarii, Genevee Romona Love, and Zon Legacy Slarii and meet-and-greets with New York. The night’s DJ, AriAtari, will have you dancing whether you are one of the single ladies or not. This is a 21+ event, and tickets are $12 in advance, $15 at the door, and $40 for admission plus a meet-and-greet with Tiffany Pollard. When: Friday, October 26th and Saturday, October 27th at 10:00 p.m.
Vilification Tennis returns to the Bryant-Lake Bowl to spin spooky and offensive tales of ghosts, ghouls, and your mom. Vilification Tennis is best known for its back-and-forth insult and improv comedy show made famous at the Minnesota Renaissance Festival, but the group’s monthly theme nights are just as delightfully offensive. Not for the faint of heart or the easily offended; come ready for some ribald humor. This show is 18+, and tickets are $15 at the door or $12 in advance or with a Fringe Festival button or CONvergence badge. When: Saturday, October 27th at 9:00 p.m.
Transmission’s annual Halloween dance night returns, and this year it’s inspired by Stranger Things. The night will be awash with music from many genres as if you were spending Halloween back watching MTV in the ’80s. Costumes, especially ’80s-inspired ones, are encouraged. Transmission is a very popular music night, and the Halloween events tend to sell out, so get your tickets early. Admission is 21+ and $10. When: Friday, October 26th and Saturday, October 27th at 11:59 p.m. When: Saturday, October 27th from 10:00 a.m. to 3:30 p.m. It wouldn’t be the Halloween season without our favorite creepy and kooky family. Flip Phone puts on a fabulous drag brunch with performances based around this iconic spooky family by Bad Karma and Vincent the Destroyer. Costumes are encouraged. Tickets are $11 and are all ages but there may be swearing and non–child friendly things, so make sure to use your best discretion about bringing the kids. When: Saturday, October 27th from 11:00 a.m. to 9:00 p.m. and Sunday, October 28th from 11:00 a.m. to 5:00 p.m. Creators Space and Mrakmur are putting on a grand festival of arts, crafts, music, creative workshops, Halloween-themed activities, specialty food and drinks, and a costume contest for kids and adults! Focusing on the aesthetics of dark culture, such as gothic, steampunk, mystery, fantasy, magic, surrealism, and macabre, this festival is a great way to kick off the Halloween weekend and find some beautiful things. The event is free to attend and family friendly! When: Saturday, October 27th at 6:00 p.m. The Minneapolis Bike Messenger Association, which plans the Freedom from Pants ride, brings you a Halloween costume ride! Wear your best costume and take a bike ride through the streets of Minneapolis. There will be a costume and best Halloween bike contest with prizes. This is free, but since it’s late in the evening and some on the tour will likely head towards bars, I personally rate this one 18+ but it’s free! City of Anoka Halloween Extravaganza! When: Saturday, October 27th with events starting at 10:00 a.m. There are three other Anoka events on this list, but this is the day the City of Anoka lives up to its name as the Halloween Capital of the World. The Haunted House will be running, the carnival starts at 10:00 a.m. at the Anoka Armory, there’s a pre-parade event at the American Legion Post 102 at 11:00 a.m., the 33rd annual Gray Ghost 5K starts at 12:50 p.m. at Franklin Elementary, the massive Grande Day Parade at 1:00 p.m., post-parade fun is at 4:30 at Anoka High School, Royal Ambassador Coronation is at Anoka High School at 6:00 p.m., and finally the Anoka Lions Tent Party (21+) is at City Hall at 7:00 p.m. It is a crazy day of all things Halloween. Make a day of it! Please see the website for more information about the varying events. When: Saturday, October 27th at 8:00 p.m.
Come dressed in your best costume for a night of hard rock with Innertoil, Syrenaeum, and Half Moon Devil at the Char Bar. There will be a costume contest with first, second, and third prizes chosen by the audience! This is a 21+ event and is $5 at the door. When: Saturday, October 27th at 9:30 p.m.
Flip Phone pulls out all the stops for this Halloween dance party with DJ Shannon Blowtorch and Flip Phone covering the music, performances by Adore Delano, Nocturna Lee Mission, Tygra, and Vincent the Destroyer, and a costume contest with a grand prize of $500! Tickets are $15 for general admission; VIP tickets are $55, which includes admission, a pro photo and meet and greet with Adore Delano and Amanda Lepore, and a glass of champagne (or Red Bull if you are under 21). When: Saturday, October 27th at 10:00 p.m. The 331 Club gets in on the Halloween weekend action with a dance night featuring Hey There Handsome and Slow Mo. This is a free 21+ event! Gothess Presents the Every Day Is Halloween Party! Halloween takes over all three levels of the Union Bar and Grill and Rev Ultra Lounge with tons of music and décor to delight, hosted by the Life of Ques and JT&E. Tickets are $20 and 21+. When: Sunday, October 28th from 2:00 p.m. and 4:00 p.m. The Hallie Q. Brown Community Center hosts its annual Halloween party in partnership with the Ramsey Hill Association and Costumers for a Cause. There will be tons of your favorite sci-fi characters, superheroes, princesses, and villains as well as a haunted house, face painting, games, pumpkin and cookie decorating, games, treats, and more. Fun for the whole family, open to the public, and free! When: Wednesday, October 31st from 7:00 p.m. to 8:00 p.m. When: Wednesday, October 31 from 7:00 p.m. to 10:00 p.m.
Up-Down will be your host for a 7-at-7 single elimination tournament for the Killer Queen arcade game. Bring your own team or get put on one with strangers; all skill levels are welcome. There will also be a costume contest for the most creative costume and some excellent prizes, with candy, baked goods, and other fun stuff to be had. You better bee sure to pick up some tokens for this night of gaming. When: Wednesday, October 31st at 7:00 p.m. The Skyway Theatre has a Halloween night of techno, dubstep, and EDM, filled to the brim with artists Kill the Noise, 12th Planet, Figure with Terrorvision, 2FAC3D, and Phase One. Probably one of the most energetic offerings for this Halloween, it offers up four stages of music and over 20 DJs and artists, a haunted cinema, drink specials from 7:00 to 9:00 p.m., and a costume contest with $1,000 in cash and prizes. This is an 18+ event, and tickets are $25 in advance. When: Wednesday, October 31st at 9:30 p.m.
Nocturna Lee Mission hosts a special Halloween edition of Emo Night. There will be an emo costume contest and pop-up drag, along with plenty of your favorite emo music to dance to—like Avril Lavigne, Fall Out Boy, Linkin Park, Jimmy Eat World, and Good Charlotte. This is a 21+ emo event with a $10 emo cover. 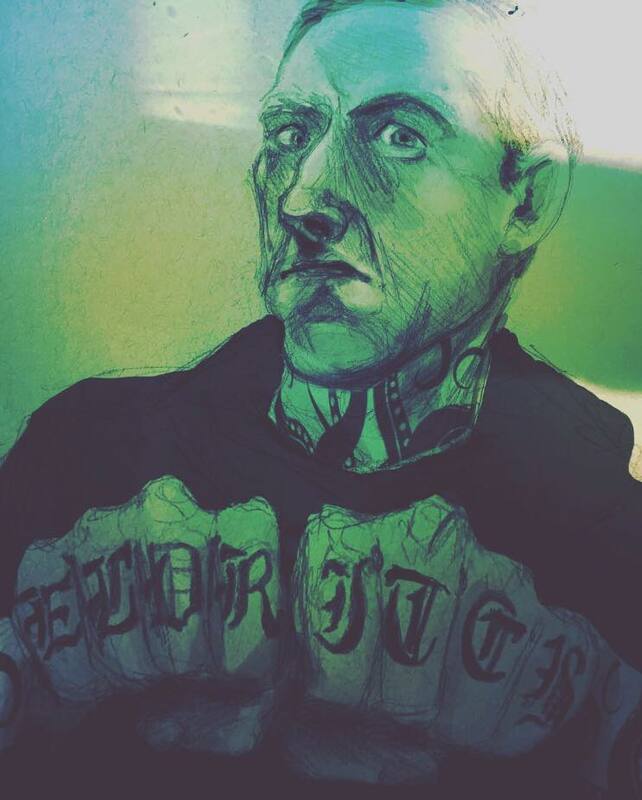 Emo. When: Wednesday, October 31st at 10:00 p.m.
Did you survive Saturday’s Halloween onslaught? No? That’s okay—Ground Zero has you covered with its annual Dance of the Undead. Come out this All Hallows’ Eve and dance to even darker cuts at the club that’s the epitome of all things dark and spooky. This event is 21+ with a $5 cover and is a cash-only bar. When: Wednesday, October 31st at 10:30 p.m. Dark Energy is the host for this Halloween-night special. With an EP release by c.Kostra, who provides a dark guitar and minimal techno sound, it is a good opportunity to get out and dance and support new music. Also appearing are Nones Proj, Endif, and Devata Daun. An excellent live music event for Halloween. This is a 21+ event that is $8 in advance and $10 at the door. So, what Halloween haunts will you venture out to this season? Did we miss anything? Let us know in the comments!